Produced water is a waste generated in the units of petroleum production having as main characteristics the high salinity with presence of emulsified oil, suspended solids, chemical additives, heavy metals and other contaminants. Considering that the inadequate disposal of this water causes environmental contamination, this work aimed to investigate the adsorption of emulsified oil present in the produced water, using sugarcane bagasse (an abundant by-product from sugar/ethanol production) as adsorbent, improving the treatment of this type of effluent. 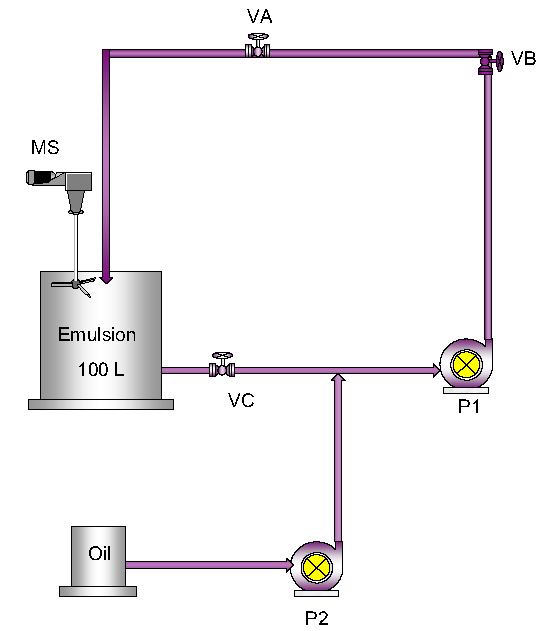 The adsorption reached equilibrium within 5 minutes of contact and more than 90% of the emulsified oil present in the mixture was removed when 0.1% adsorbent (m/v) was used at 30 °C and 110 rpm. Pseudo first-order and pseudo second-order models were applied to adjust the kinetic data. The best correlation was provided by the pseudo first-order kinetic model demonstrating that chemical sorption was the rate-limiting step, although intraparticle diffusion can not be neglected. From these results, it can be stated that the use of sugarcane residues as an adsorbent agent is an alternative for the efficient removal of the oil present in the produced water. Thus, two partial problems can be solved: wastewater treatment and agroindustrial residue disposal.